On Sunday, June 24th, 1 million people attended the ChicagoPride.com’s Pride Parade this weekend, and so did Berman Auto Group! We partnered with B96 to celebrate diversity in style with a float being towed by our very own Berman Bus. We are proud to support equality! 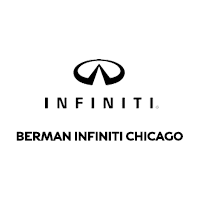 Berman INFINITI Chicago Welcomes Hilary Owens As Our New Service Manager! 2019 INFINITI QX50 Is Here!